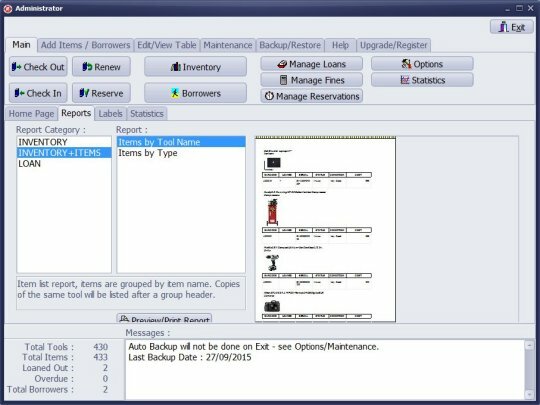 Handy Equipment Tool Inventory Software for Windows. Easy to use software for tool cribs, construction rental rooms, equipment libraries, tool tracking facilities. Easily check in and check out tools and equipment to employees, students, jobs, projects, or locations. Print circulation reports. Print inventory reports. Print barcode labels, id cards. Flexible circulation manager, easily process check in and check out transactions.